Fact-: Many people consider it as a fact but this is only an assumption and myth because no such food can cause vitiligo such as citrus and sour foods. A recent study explains that there is no impact on food on this health condition. Moreover, the majority of people believe that many people suffer from this problem due to the consumption of dairy products. But this is also a myth, not fact because this cannot happen due to dairy products. Fact-: No, this is not true because vitiligo does not spread by sharing personal things, touch, and using towels of other persons. 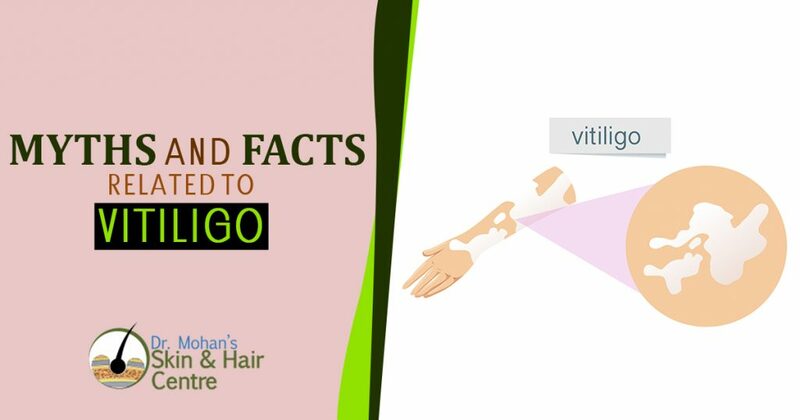 Fact: This is only a myth about vitiligo because this is an unpredictable condition. In addition, the vitiligo treatment is too difficult and time-consuming also the recovery from this treatment depends on the patient’s health and response. Many studies reveal that this procedure is not as effective as other treatments and do not give successful results all the time. Myth4-: Vitiligo related to Albinism or Leprosy? Fact-: No, vitiligo is not similar to Albinism and Leprosy. Additionally, these conditions are totally different in which albinism is related to a person who is born with no melanin. Whereas, leprosy is caused because of bacterial infection in which skin lightening may happen. And the vitiligo is a health condition which caused after birth. Fact: There is no such laboratory test such as blood and another test. Your doctor can examine you with the instrument or tool known as Wood’s lamp. If you are not feeling well then you must visit your primary care doctor then he examines you and tells you about the condition you have. Fact-: Vitiligo is only a skin disorder which does not have any relation with mental and physical inabilities. These both terms are different many people combine them these are not related. Fact-: No, this is only the myth because not all the whites patches are described as vitiligo. There are many other health conditions that can cause white patches such as fungus infections and allergies. Moreover, this condition does not spread from family persons, there is only 4 percent of people who face this condition.